Splashing in the waters is an all time favourite activity of the little ones. The squeals of joy and uninhibited laughter are contagious when you leave the small wonders in a swimming pool. The Angan of joyous learning offers the children’s favourite in the heart of the campus. 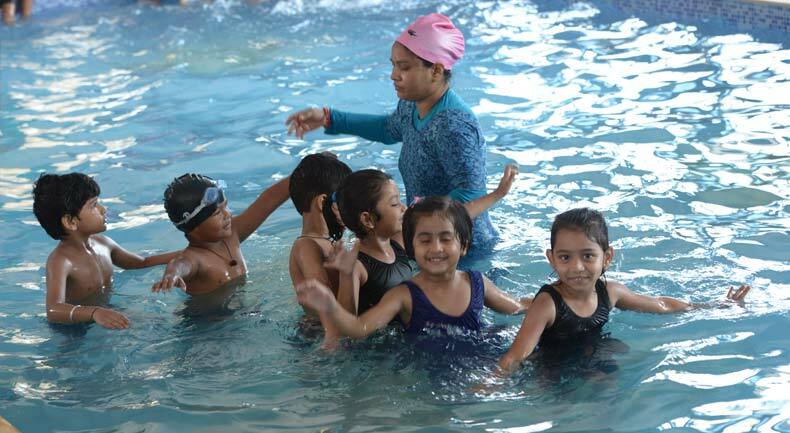 The swimming pool is designed keeping in mind the safety of the children and is well maintained round the year. Hygiene is the most important facet of Angan and the pool is cleaned every day to ensure good health and well being of the students. 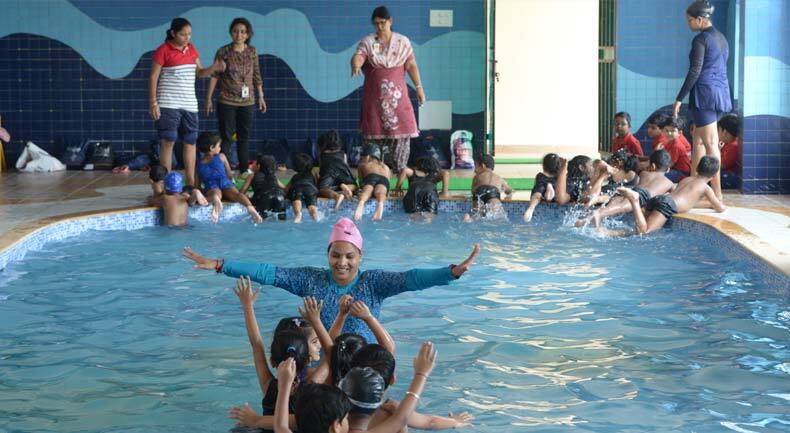 Two swimming coaches are always present to guide the tiny tots.